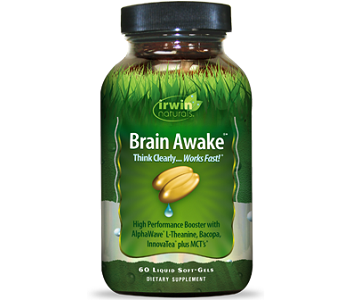 Read our review below about Irwin’s Naturals Brain Awake. A product formulated by the manufacturer to enhance the consumers thinking power, boost brain function and mental performance as well as cognitive tasks. This product might increase energy levels as well. Vitamin B6 is a water-soluble essential vitamin, associated with the production of neurotransmitters. Vitamin B12 plays an important role in the neurological function and development. Brain health and function, assisted by Folate. Brain energy function assisted by MCT Oil. Neurotransmitter acetylcholine formed by Acetyl-L-Carine paired by choline. Antidepressant and a cognitive booster assisted by Bacopa extract. Negative effects of stress assisted by Holy Basil extract. Calm mood assisted by L-Theanine and Caffeine. Calmness, boosting cognition, and stressful situations are relieved by Lemon balm extract. Antioxidant and anti-inflammatory properties assisted by Rosemary. Absorbing a variety of nutrients through the digestive tract is assisted by BioPerine. The above ingredients might be effective but as clinically proven key ingredients are absent in this formula, do we question the effectiveness it will have on the consumer. For optimal short-term cognitive optimization and long-term cerebral health, we recommend that Huperzine, Ginkgo Biloba, DMAE, and Choline be added. A healthy heart is assisted by Flaxseed oil. Strong bones, joints, and fingernails are assisted by Gelatin. Glycerin is known as an emulsifier, sweetener and levigating agent.Beeswax is known to slow down the dispersal of medications into the body. Memory disorders such as dementia and Alzheimer’s disease are treated by Lecithin. Digestion and the elimination of waste from the body is assisted by St. John’s bread. Titanium Dioxide – Colourant. Silicon Dioxide – Anti-Caking Agent. It is recommended to take three capsules daily with a full glass of water with a meal. Contains caffeine should not be taken at bedtime if caffeine will keep the consumer awake. The manufacturer gives a clear warning that this supplement does contain a chemical known to cause birth defects or other reproductive problems. A container of 60 Liquid Soft-Gels at a price of $22.99 available online directly from the manufacturer’s website. The manufacturer does offer discounted prices. This product may be bought through third-party retailers. We have done thorough research and could not find a guarantee from the manufacturer. If the item has been purchased through a third-party retailer the guarantee will differ as to the third-party’s own discretion. The consumer reviews are mixed some are pleased and some are not so pleased. In this review, we have found that the prices are very good as they all include shipping and handling. There are some consumers that are pleased with this product which is an upside to the product. 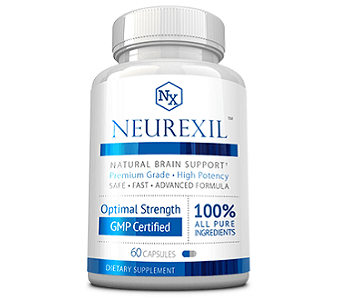 The downside to this product is that it lacks clinically proven key ingredients to provide optimal long term and short term cerebral health. The fact that there is a chemical in the formula that might cause birth defects raises a great concern on our behalf. The fact that the manufacturer does not offer the consumer any guarantee is rather distressing.